If you are looking for any examples of people flying in the face of every gender and age-based stereotype, you need look no further than the Sabra Sisters. To say that these girls are three, young, bright ‘kidpreneurs’ would be a vast understatement. JuJu, GiGi and JoJo (all pen names) are all award-winning inventors, best-selling authors, and professional bloggers and vloggers and the eldest, JuJu, is only 13 years old. Their favourite subjects are science and math-based, they are keen on healthy eating and possess a maturity of thought and moral code that would put some adults to shame. Their latest venture, BitKidz, is a three-book series, aimed at children to help them become interested in bitcoin and teach them what it is, how it works and some of the benefits and uses of digital currency. 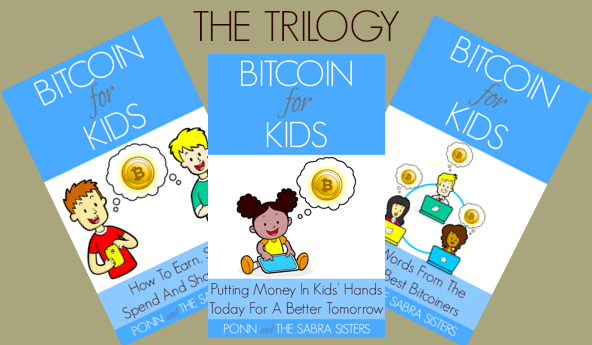 Written by themselves, with a little help from their mom, Ponn, and edited by prominent bitcoin advocate and entrepreneur, Trace Mayer, the books are now available to buy for bitcoin and also for sale on Amazon and Barnes and Noble. It is not their first foray into publishing as they have previously written a range of books on subjects, from blogging to smoothie making, all aimed at making learning fun for kids. Their “work” to date includes eight separate blogs as well as their books. Each focuses on a different area of interest including nutrition, blogging, web designing and what they call STEM subjects: Science, Technology Engineering and Math. They say the latter is their “biggest passion” and so the concept of bitcoin was something that triggered their imaginations. That introduction led to a challenge to write a Bitcoin For Kids Fun Facts book and less than 24-hours later, BitKidz.com was born, dedicated to their bitcoin learning journey. So far, that journey has seen them grasp some of the concepts of bitcoin that many adults struggle to comprehend. “Kids will spend money more wisely because when they learn to watch the international market rates they will learn to be frugal and only spend when the rates are in our favour and holding it if the value dips a bit,” JuJu explains. 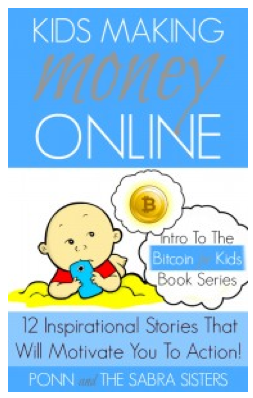 Their book primer, (“Kids Making Money Online. 12 (17) Inspirational Bitcoin Stories That Will Motivate You To Action!”) introduces bitcoin by way of telling children’s own stories of how bitcoin “changed their lives” and the sisters say this was not just monetarily but also through the relationships forged with colleagues and friends, young and old, all over the world. “It was about the feeling of getting paid from someone online for a computer program a kid developed all by himself, then buying a computer with his profits. It’s about getting excited about becoming closer to an uncle we always loved but never talked to, or saw often enough—like in our case,” they say. The sisters also hope that through these stories, the world will see “how ingenious and inventive [children] can be—if given the opportunity. Bitcoin affords kids from all over the world the opportunity,” says JuJu, who describes bitcoin’s inventor, Satoshi Nakamoto as “a genius”. Their travels have helped inform this attitude but equally, they think having more children involved in bitcoin will help boost charitable donations. Despite the time they dedicate to their entrepreneurial ventures; their blogs, books, and bitcoin, they are not, they say, “stuck on screen” for hours. Their mom, Ponn, a bestselling author herself, ensures they get a well-rounded education and they embrace the concept of the world being their classroom. “The girls have experienced every kind of schooling available, and we continue to explore other methods as we travel throughout the world,” she says. They have trialled both the public and private education systems, tutors, online classes, various methods of schooling around the world and even participated in the Stanford University EPGY (Educated Program for Gifted Youth). Whatever they learn for themselves, they share with their followers online and are already planning content for the next books to come out. International finance markets, economics, math and decimals, the protocol, cryptocurrency and cryptography are among the topics they are studying and will be included in the series expansion. Aside from bitcoin, the girls are also exploring other avenues, stating they would “all LOVE to be polyglots, but we have a long way to go.” They are currently fluent in English and Arabic and have a growing vocabulary in American Sign Language. Away from learning the girls say they enjoy cooking and hiking together as a family and also trying out new sports such as soccer, rollerblading and martial arts. They say their friends are “their biggest fans!” when it comes to reading and commenting on their blogs and although they are not bloggers, authors or entrepreneurs themselves, they give them a lot of support. Bitcoin seems to be the one area that is capturing the most interest among their friends. “We’re telling our friends one by one, and they’re taking bigger steps online based on our advice and encouragement than any topic we’ve personally shared before,” JuJu says. With ambitions to head to a bitcoin conference next year and have their books translated, there is plenty they are saving up for in their “savings wallet”. their lives and they have each found their own interests within it. JuJu finds the protocol “fascinating” and believes there is much to be explored “beyond just money transfer.” GiGi finds online shopping has become easier and when the value of their bitcoin went up she says, “We were able to buy three times what we planned and gave gifts to a friend, and four family members.” For JoJo it is all about the money and the math. “Counting in decimals is so cool, watching the daily market values, and playing with different Bitcoin apps on mom’s phone is awesome,” she says. For the sisters there is a lot more at stake than just learning at home. Their business looks to be taking off and the BitKidz series will be the first of their Kindle books made into paperbacks. The Bitcoin Academy and Bitcoin Bootcamp plan to use them in their curriculum and they are trying to raise up to $3000 to self-publish them so that they can be used in a pilot after school programme in San Diego, California. She and her sisters are not just breaking the mould, they are smashing through it and proving that bitcoin bears as much relevance to them as it does the IT wizards and “hi-tech, libertarians” they describe. They are fortunate enough to claim Trace Mayer as one of their “biggest bitcoin mentors” and say they are “honoured” to have met Jason King and his family from SeansOutpost.com. The third book in their bitcoin series also has interviews with some of the world’s best-known bitcoiners including Mike Hearn, Vinny Lingham and David Johnston. With kids such as the Sabra sisters paving the way I have no doubt they could be right. 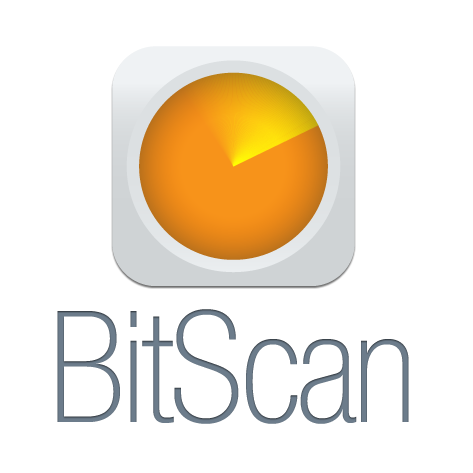 Welcome to the start of a brand new week and plenty of crypto-currency related news as well. As bitcoin grows in popularity, more and more people are hearing about it and it is getting increasingly wider coverage in the mainstream press. Over the weekend, The Economist published a insightful piece about bitcoin, outlining its flaws as well as the underlying beauty in its mathematics. Whereas much press tends towards the negative, this is a well-written critical analysis and explores some of the potential weaknesses we should all be aware of. ALL currencies involve some measure of consensual hallucination, but Bitcoin, a virtual monetary system, involves more than most. It is a peer-to-peer currency with no central bank, based on digital tokens with no intrinsic value. Rather than relying on confidence in a central authority, it depends instead on a distributed system of trust, based on a transaction ledger which is cryptographically verified and jointly maintained by the currency’s users. Transactions can occur directly between the system’s participants at almost zero cost, without the need for a trusted third party or any other intermediary, and are irreversible once committed to a permanent and fully public record. Bitcoin’s mathematically elegant design ensures that the money supply can increase only at a fixed rate that slows over time and then stops altogether. Anonymity, while not assured, is possible with the right precautions and tools. No wonder Bitcoin is so appealing to geeks, libertarians, drug dealers, speculators and gold bugs. When it comes to U-turns, it is usually a reference to a political change of heart, or perhaps at another end of the scale, a footballer not transferring to another club. Here’s one that is going to prove very interesting to bitcoin enthusiasts. Joe Weisenthal (@TheStalwart) of Business Insider is changing his mind about bitcoin. Despite several articles writing off bitcoin as “a joke”, he is now eating those words. Here’s his article explaining why. I’m changing my mind about Bitcoin. I used to think it was a joke or at best a currency for clowns. Now, I no longer think that. Now, I don’t know what its future is. I’ve gone through two phrases writing about the “crypto-currency” called Bitcoin. I first started paying close attention to it early this year. In April, during its first big mega-spike, I wrote Bitcoin Has No Intrinsic Value, And Will Never Be A Threat To Fiat Currency. Then the price of Bitcoin crashed, and I kind of lost interest. Then a few weeks ago, as the price of Bitcoin started exploding again, I wrote a post that earned me all kinds of trolls and anger on the Internet. That post was titled Bitcoin Is A Joke. That post seriously caused a major ruckus. Everyone on the Bitcoin message boards freaked out. Someone tried turning me into a meme. Ever wondered what sort of research and work is going into bitcoin and the protocol behind the scenes? One video that looks at ‘The True Value of Bitcoin’ has been published online by Canadian philosopher and author, Stephan Molyneux. He has been talking about bitcoin for over two years now and this is his latest look at what bitcoin is, other than just ‘Internet money’. It is sure to provoke a few questions as well as answering them. And we could not complete our roundup without mentioning the story that is still doing the rounds and might send any bitcoiner with a few stashed away, running to double check their wallet security (and perhaps more importantly, whereabouts.) Matthew Norman in The Telegraph tells the story of James Howells, who has lost what now equates to nearly £5 million worth of bitcoin. The timing may strike you as another informal application to be sectioned, coming in the week the Government performed its latest nimble U-turn over plain packaging for cigarettes. None the less, allow me to propose that the ban on tobacco advertising be suspended for one product, and that the famous Hamlet cigar campaign be revived for one glorious last hurrah. Mature readers will fondly recall the commercials in which a sufferer of some personal calamity lit up, and was so utterly becalmed and revived that a beatific smile spread over his recently distraught features. “Happiness is a cigar called Hamlet,” went the tag line, to the background strains of Bach’s Air on the G String. 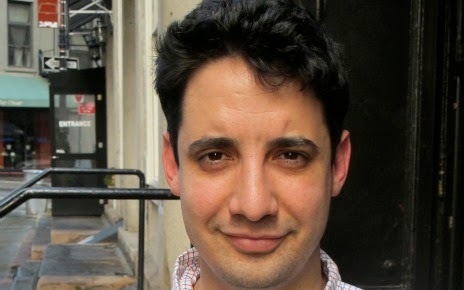 The star I have in mind for the new advert is one James Howells. In the absence of a miraculous tobacco curative, the only sensible use this IT worker from South Wales might have for a G string – be it taken from a violin or a lingerie drawer – is as a makeshift noose.